Helen Campbell, Australian art: in the Art Gallery of New South Wales , 'Out of Sydney: city and hinterlands', pg. 185-186, Sydney, 2000, 187 (colour illus. ), 300. Deborah Edwards, Look , 'William Dobell's Self-portrait', pg. 17, Heidelberg, Sep 1986, 17 (illus.). 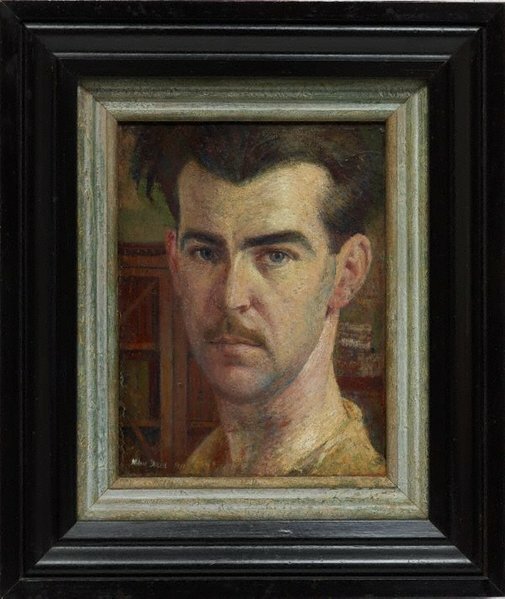 Barry Pearce, Australian painters of the twentieth century , 'William Dobell', pg. 76-87, Sydney, 2000, 79 (colour illus.). Andrew Sayers, To look within: self portraits in Australia , 'The artist's self-portrait in Australia', pg. 6-33, Brisbane, 2004, 6 (colour illus., detail), 24, 25 (colour illus.). Judith White, Australian art collector , 'Yours sincerely: William Dobell', pg. 56-59, Sydney, Apr 2000-Jun 2000, 59. William Dobell: the painters progress , Sydney, 1997, cover (illus.). State of the arts , 'William Dobell 1899-1970 The Painter's Progress', Sydney, Dec 1996-Mar 1997, 7 (illus.). Portrait of an artist: A biography of William Dobell , Melbourne, 1983, 64 (illus.). The Art of William Dobell , Sydney, 1946, 18, 86 (illus.). Look , Heidelberg, Feb 1997, 13 (colour illus.). 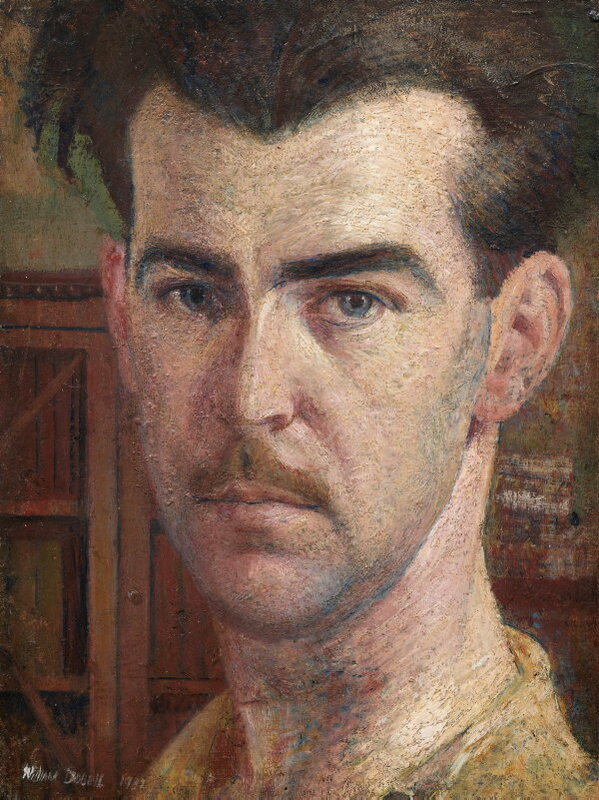 Face: Australian portraits 1880-1960 , Canberra, 2010, 144 (colour illus.). Look , Sydney, Apr 2007, 43 (colour illus.). William Dobell: portraits in context , 'Image of contention', pg. 10-20, Kent Town, 2003, 2 (colour illus. ), 14, 19, 22, 41 (colour illus.). Outrage , Melbourne, Mar 1997, 3 (colour illus. ), 36 (colour illus. ), 37-39.